Orderly Cabinet | Work in progress. Pickled white oak cabinet made with very rectilinear proportions. Frame and panel construction with tung oil exterior finish and soap interior finish. ORDER ! PUT THINGS WERE THEY BELONG! 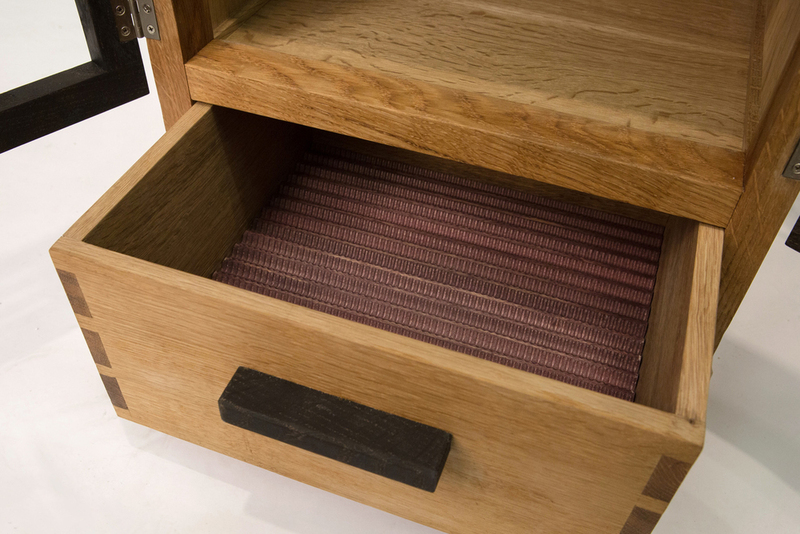 CNC'd panels in the back and the bottom of the drawer made to be reminiscent of old school washing boards, illuminated by slits in the picked top panel.